Brown marmorated stink bug (BMSB), native to Asia including China, is a major invasive horticultural and crop pest in North America and Europe, and now threatens the southern hemisphere. BMSB has not established in New Zealand although it is regularly intercepted at its borders. Relatively little is known about the impact of BMSB on kiwifruit, an important horticultural crop in New Zealand; at least in English language literature. Searches were conducted in the Chinese National Knowledge Infrastructure (CNKI) platform using Chinese characters for BMSB (èŒ¶ç¿…è½) and kiwifruit (çŒ•çŒ´æ¡ƒ), and also in English, in international platforms. 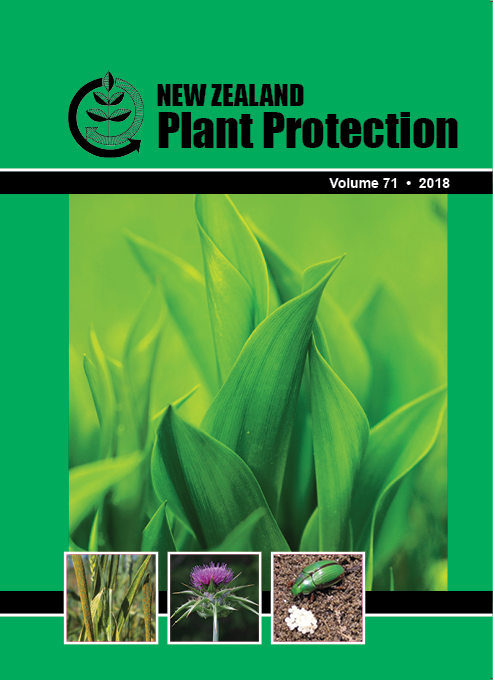 We identified 17 and eight publications, respectively, indicating that BMSB and yellow spotted stinkbug (YSSB) (éº»çš®è½ and é»„æ–‘è½) are major pests of kiwifruit in China. Little information on BMSB or YSSB and their pest status in kiwifruit was found in English language searches in international platforms. Searching Chinese databases with Chinese characters in combination with searches in international databases is necessary to ensure comprehensive coverage for biosecurity risk assessment.